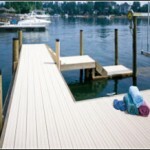 Decks & Fencing | Superior Lumber, Inc. Enjoy carefree outdoor living with CertainTeed EverNew decking. Our deck planks feature an easy-to-clean, non-porous vinyl surface that won?t stain from accidental spills or ground-in dirt. 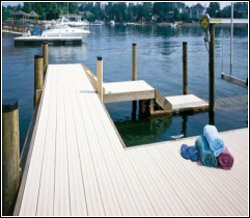 Deck systems are offered in a variety of colors that are UV protected for long-term durability and superior color retention. Plus, it cuts, fastens and handles easier than wood planks. Trex Decking takes the natural beauty of wood, but leaves behind all the rotting and splintering. Trex is also a breeze to maintain, so you’ll spend more time relaxing on your deck instead of working on it. And Trex is soft and smooth to the touch, so feel free to kick off your shoes and make yourself at home?outside.Trex offers more creative freedom than other decking materials. Its style options include not only the ability to physically bend and shape, but also a variety of colors and textures to choose from when crafting your perfect deck.